HOME > WHAT'S NEW > WHAT ARE THE INVISIBLE SIGNS OF AGING? 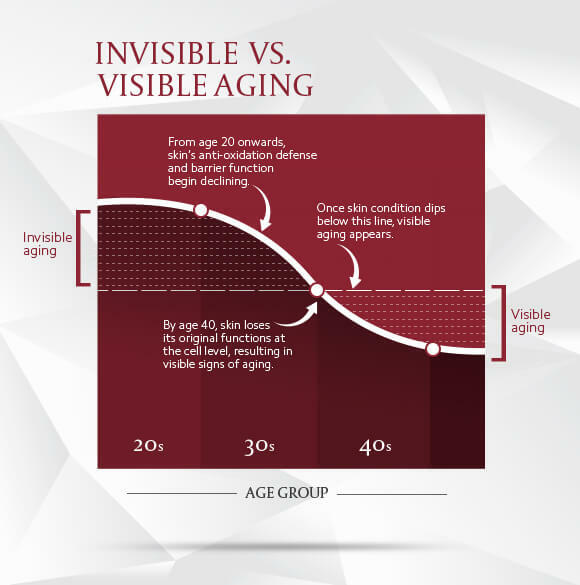 WHAT ARE THE INVISIBLE SIGNS OF AGING? Since the discovery of its signature ingredient Pitera™ over 35 years ago, SK-II has helped empower millions of women around the world to change their skin destiny. Yet even to this day, SK-II scientists continue to uncover new findings in addition to the astounding wealth of benefits provided by this miracle ingredient. In its latest pioneering research on skin aging, SK-II has decoded the secrets of beautiful, youthful skin, and why it’s never too early or too late for women to take control of their destinies and achieve the beautiful, crystal clear skin they’ve always wanted. 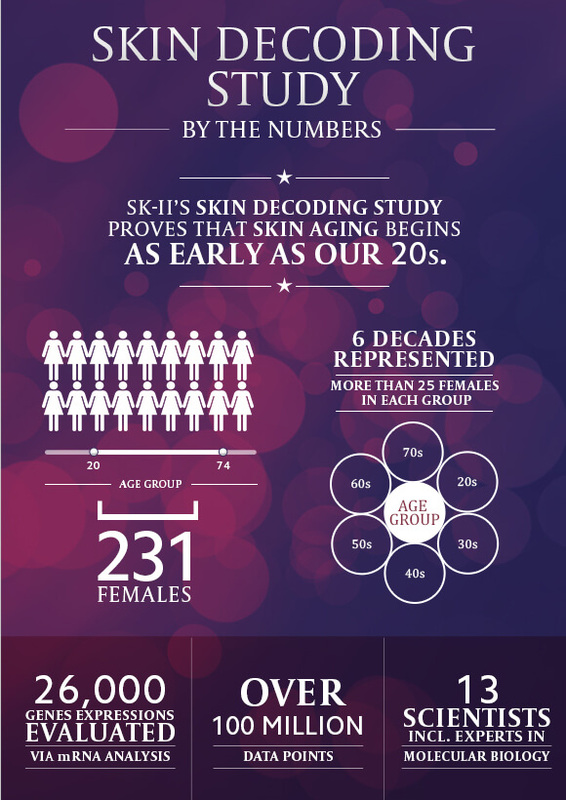 Continuing in its series of studies and research revolving around skin destiny, SK-II conducted a landmark first-of-its-kind skin study across multiple age groups and ethnicities to research how women’s skin ages. Named the Skin Decoding Study, it was conducted alongside globally renowned dermatologists as well as experts in molecular biology, and remains the most extensive study of its kind. The study’s impressive findings were even presented at the 23rd World Congress of Dermatology held in Vancouver in June 2015. One of the most important findings of the Skin Decoding Study is the proof that skin aging actually begins as early as our 20s. While most consumers in their 20s believe that anti-aging skincare is something they only need to worry about later in life, SK-II’s Skin Decoding Study has discovered that we should start tackling signs of aging in our 20s. In our 20s, the skin barrier function and defense power against oxidative stress declines, causing the skin to lose its ability to protect itself against environmental aggressors, despite still appearing youthful on the surface. This decline continues into our 30s, the time at which these signs of aging have started to appear. In our 40s, skin starts to lose its original functions at the cell level, resulting in more visible signs of aging such as wrinkles and dullness. This aging process increases and becomes increasingly difficult to stop as we get older. For an in-depth analysis of the current condition of your skin, take SK-II’s Magic Ring test to discover the hidden areas of your skin that need improvement in order to achieve youthful, crystal clear skin. Your Magic Ring test results will also help the SK-II beauty consultant recommend a skincare regime that will help combat signs of aging even before they appear.